By far the most notable thing about The Emperor's Babe is its language, which is a strange mix of modern slang, street-talk and Latin phrases that combine into a sort of patois. It's sometimes effective, but just as often grating; it all just feels very overdone and occasionally patronising. Similarly, genuinely atmospheric evocations of life in Roman Britain - which are fascinating, vivid and a great reminder that London was just as multicultural a city circa 200AD as it is now - are peppered with deliberate anachronisms. I assume are intended to make us feel closer to Zuleika and her world and identify more directly with them, but I found the somewhat laboured humour in references to Armani tunics and the EC4 postcode very quickly wore thin. This is a shame, because some of the story really is beautifully written, and amid the brashness of Zuleika's narration, there are several moments that are touching, heartbreaking or arresting in one way or another. Zuleika's deliberately offhand references to the horrors of her wedding night - she is married, remember, at the age of 11, to an obese, middle-aged man - are painful in their deliberate casualness, and there is a viscerally shocking scene when she experiences a moment of catharsis while watching the grotesque cruelties of the amphitheatre. 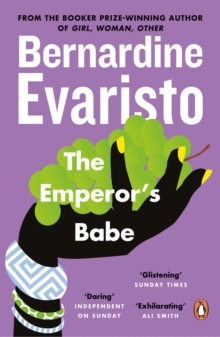 While Bernadine Evaristo has done an innovative and interesting thing with this book - and I am sure many people would love it; there is much to admire in it - this one's just not for me, I'm afraid.